The team go out onto the streets of Bradford twice weekly on Tuesday and Thursday evenings. They give food to many of the homeless from the city, provide clothing, friendship, assist in finding accommodation and help access rehabilitation for those battling addictions. The team consistently go down to the centre of Bradford where they serve hot meals, hot drinks and sandwiches. 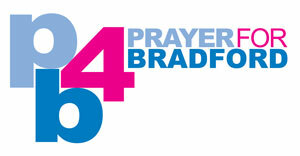 That God will continue to work through the team to help find homes for those desperately seeking accommodation, and for appropriate help to be given to the many homeless in Bradford.